Dental veneers are very thin pieces of durable, tooth shaped porcelain that are custom made (for shape and color) by a dental laboratory. 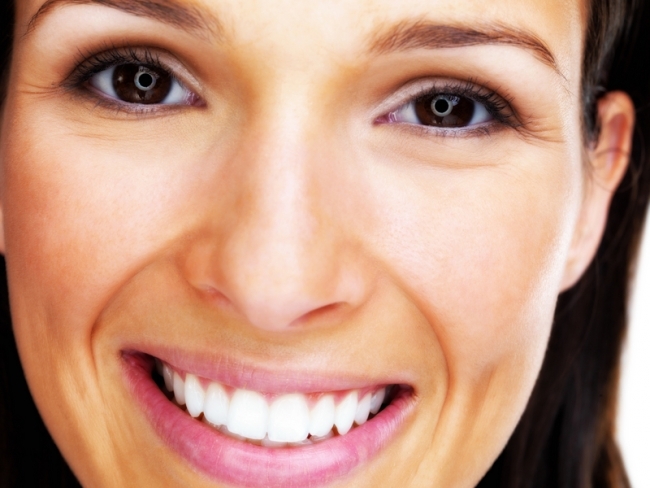 They are bonded onto the front of teeth to create a beautiful and attractive smile. Veneers can completely reshape your teeth and smile. They can often be alternatives to dental crowns and the ideal solution in treating many dental conditions. As with most dental restorations services, veneers are not permanent but are extremely durable and will last many years. Dental veneers are a cosmetic dental treatment in Mexico for patients who want to straighten as well as whiten teeth. They provide a permanent alternative to patients who want to retain the whiteness of teeth but do not want to make repeat dental appointments for tooth whitening. Dental veneers are not an alternative to dental crowns as dental crowns protect and repair the tooth; dental veneers offer an aesthetic not protective layer to teeth. Dental veneers can enhance the whiteness of one individual tooth as an alternative to teeth whitening options to whiten all teeth. Dental veneers provide a cosmetic covering to teeth that are stained and discolored and can be used to correct slight misalignment of teeth to leave you with a perfectly straight, whiter smile. Getting veneers usually requires two visits to complete the process, with little or no anesthesia required during the procedure. The teeth are prepared by lightly buffing and shaping the surface to allow for the thickness of the veneer. A dental impression of the teeth is taken and a shade (color) will then be chosen by you and your expert dentist in Mexico. You will receive care instructions for veneers. Proper brushing, flossing and regular dental visits will aid in the life of your new veneers. The veneers will be returned to the dental clinic between 1-10 days after the tooth mold is made. Patients will return to the dentist who will attach the veneers.